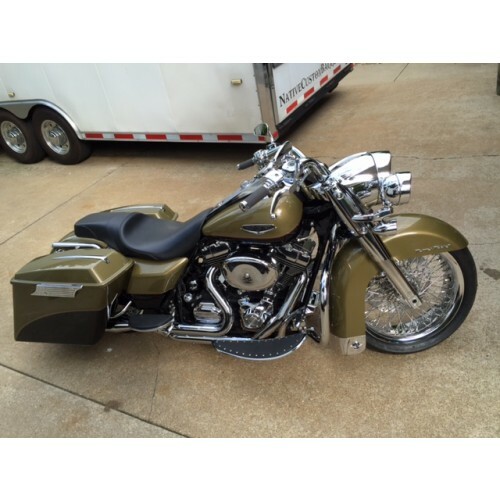 Native has been installing 18" 180mm (7.25" wide) front tires on the HD touring models for 13 years now. Therefore we have the most experience and offer the most complete well thought out kit available. This is our least expensive wide front tire kit. 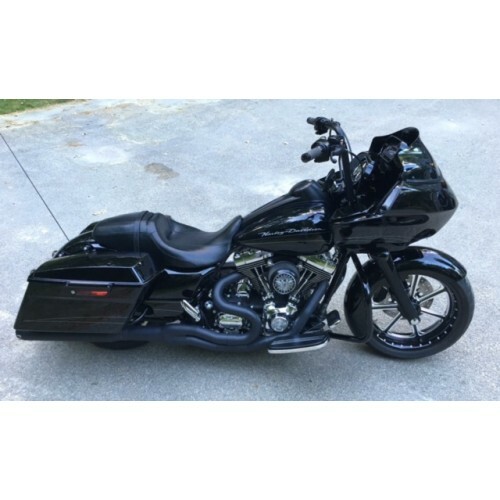 The 180mm Pitbull "EASY" front tire kit for the 1984-2013 Harley Baggers. - DOES NOT require a triple tree change. 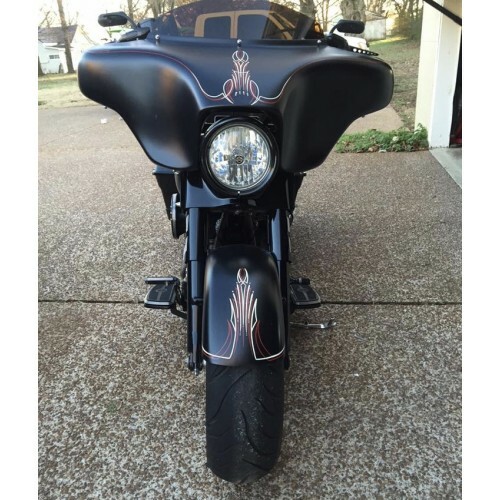 - Includes our Native brand AMERICAN MADE 14g STAMPED STEEL LASER CUT fender that fits perfect every time and is the BEST quality available. 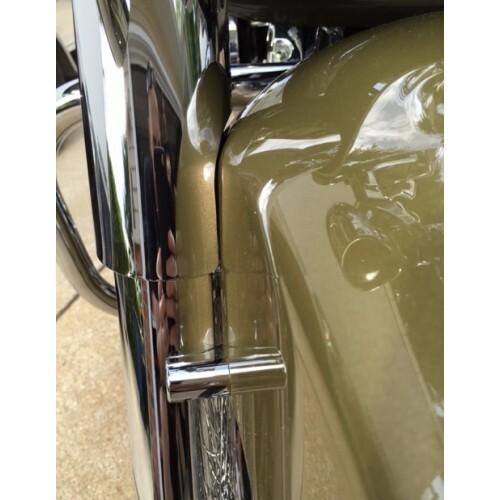 Our STEEL fenders are covered by our LIFETIME STRUCTURAL WARRANTY! 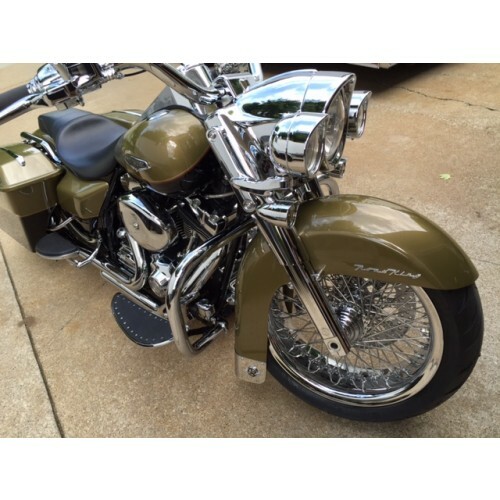 - Saves you money at the painter because the fender is such excellent quality with a beautiful finish ready to scuff and prime. 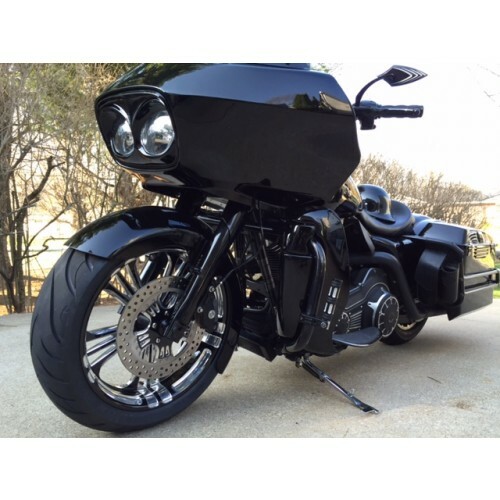 - Allows you to choose from hundreds of wheels styles that we can supply to you. - Uses a very common size 180/55-18 tire that is readily available around the country. 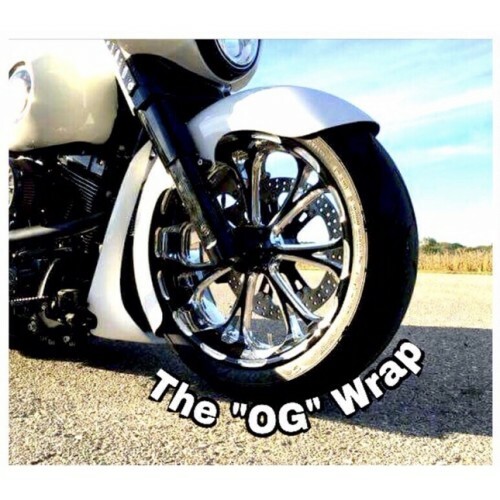 Our original Native brand American made one piece stamped steel laser cut OG wrap or HALFBREED wrap style fender & custom cut slider covers in a RAW metal finish. • No triple tree change required. 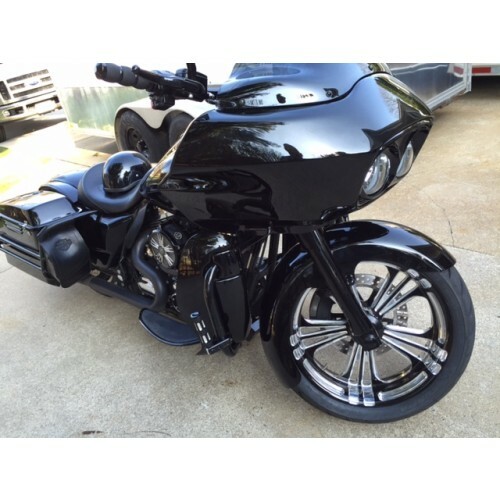 • No fork leg or brake modifications required. Ok w single or dual disc, abs or non abs. 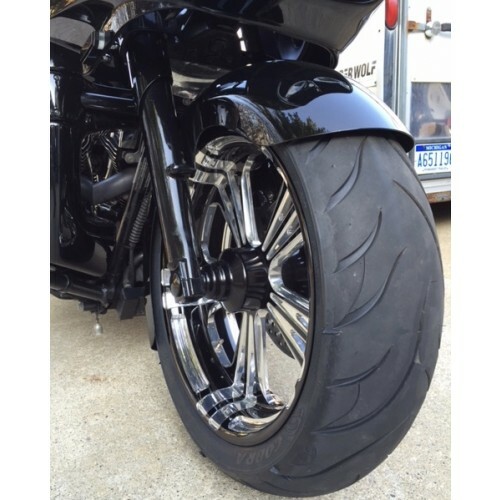 • Allows for installation of a 180mm (7.25") wide tire. 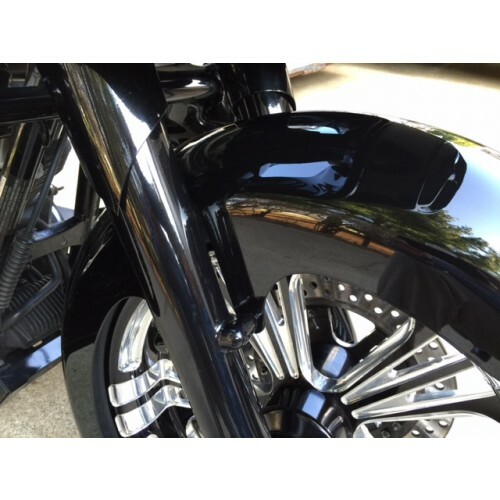 • Long tail FL style fenders & chrome or gloss black slider covers are available at additional cost. You can choose from 4 different fender styles and 3 different finish options in the menus below. If you click on the circle next to the options you want the website will total the price for you. ***THE MAJOR DIFFERENCE of this EASY kit vs our more expensive PRO kit is that the fender in the EASY kit is notched to go around the fork leg so there is NO FENDER MATERIAL between the tire and the fork leg. Our PRO kit includes trees that move the fork legs farther apart so you can run a full sided fender without a notch. 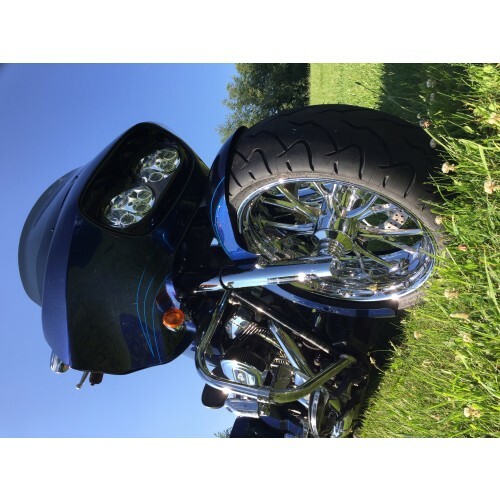 Our 180mm "PRO" wide front tire kits for 1994-2013 HD touring models ($1595) and 180mm wide front tire kits for 2014-present touring models ($899.95) are also available on this website. 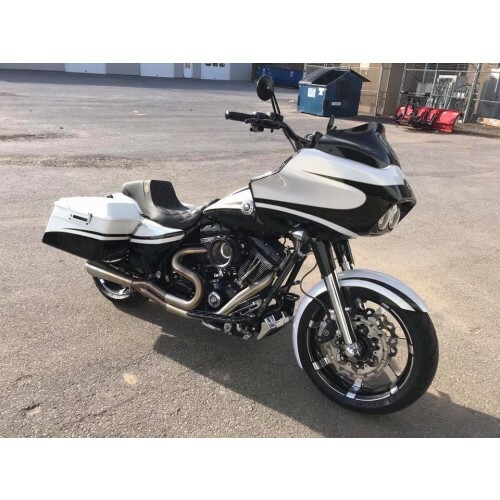 Please check out those listings on the home page of this website and then call our shop if you need additional info or if you'd like to order. 269-276-9200. 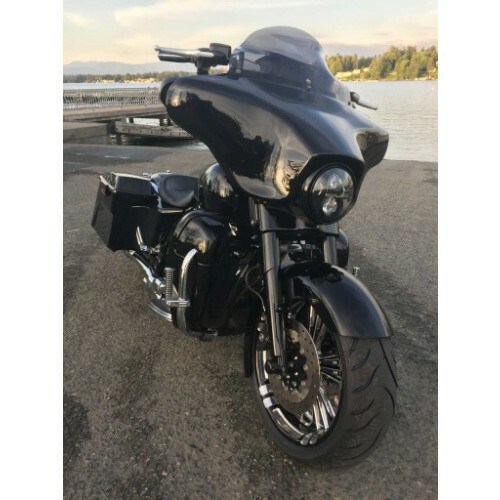 If you would us to email you information about WHEELS AND TIRES for these kits please email us at Paul@NativeCustomBaggers.com or through the contact button on our home page. 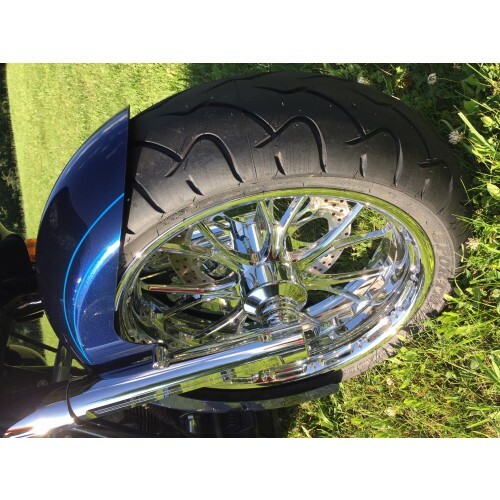 NOTE - ALL OF OUR WIDE FRONT TIRE KITS FIT 18" DIAMETER RIMS ONLY. Right now we are not doing the 21 and 23” fat tires but we may in the future. 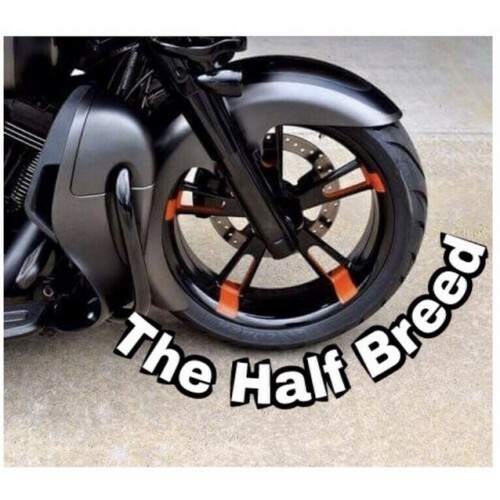 We never got into the tall wheel craze because we prefer to improve the Harley touring models instead of reducing their touring ability which is what happens when a taller front wheel is installed. 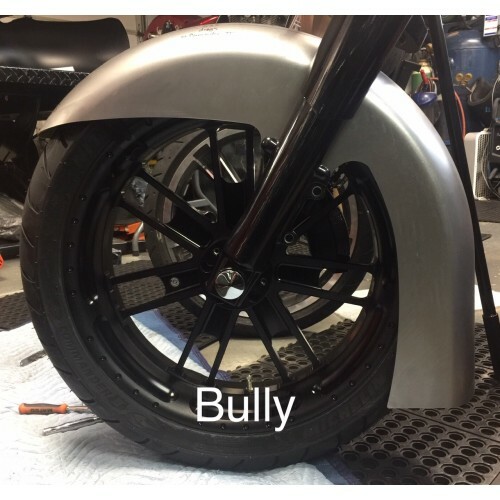 Also, the 21” and 23” fat tires are not actually 180mm wide so they are NARROWER than the 18” 180 tires which is what we have been running with our kits for the past 12 years. 21” and 23” tire quality is another issue. The only tire available for the 21” and 23” wide tires is the V-Rubber brand tire which does not have a great reputation to say the least. 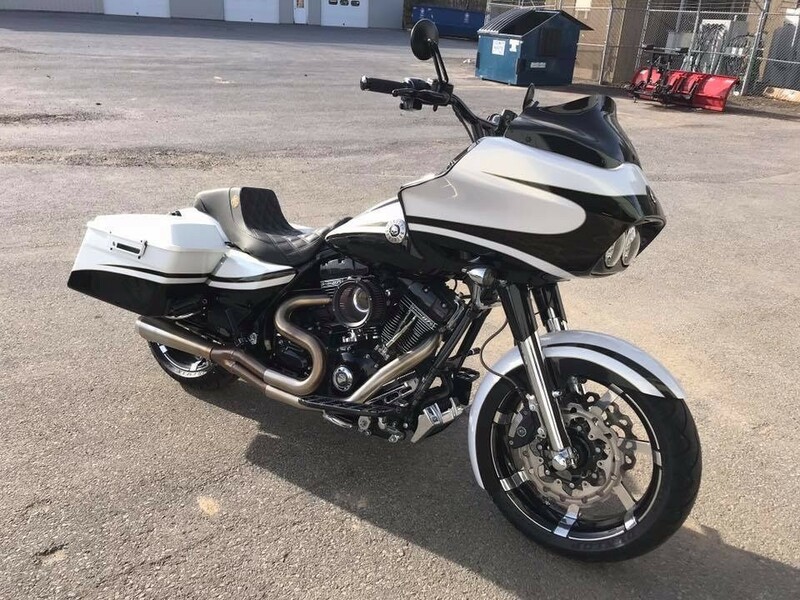 The V-Rubbers also have a much lower weight rating than the 18” 180 tires, and also has less tread depth than the 18” 180 tires. Also, if you were out on the road somewhere and had a V-Rubber tire failure, I guarantee that NO ONE would have one in stock. 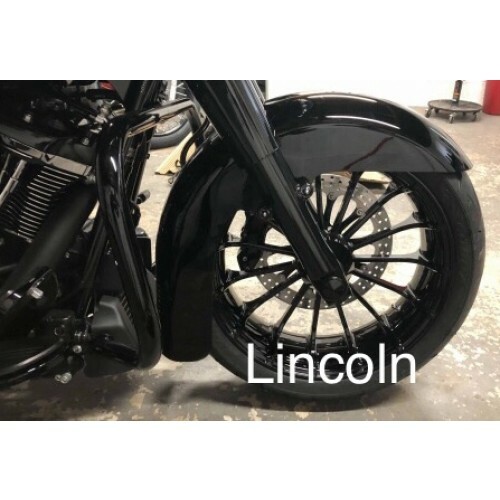 In the future when a reputable tire manufacture makes a 21” & 23” fat tire then we will promote those sizes but for now we are very busy supplying our 18” 180 kits and our kits get rave reviews so we are sticking with a good thing. Pointed facing to the side. Stock style cut flat on the bottom.